The U-Installer is a useful tool to make airMAX CPE installation easier. 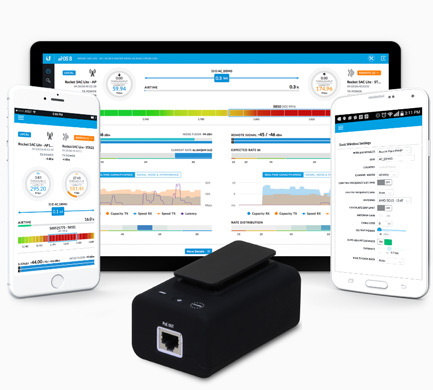 It provides Wi-Fi connectivity and 24V PoE power to a CPE, so you can use the intuitive UNMS Mobile app on a smartphone or tablet for alignment and configuration. U-Installer simplifies your installation toolkit. 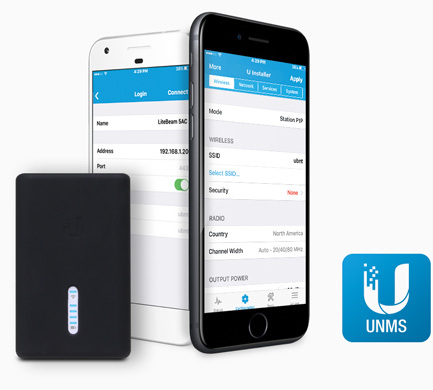 Use the intuitive UNMS Mobile app for iOS and Android to install and configure airCube. 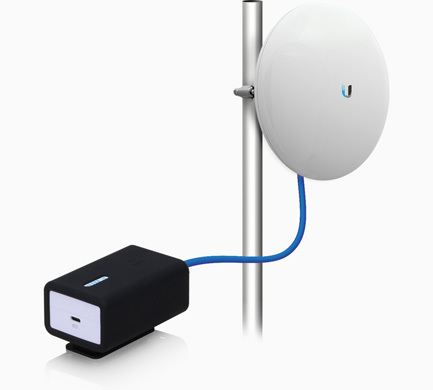 Ubiquiti device for a tablet or smartphone.